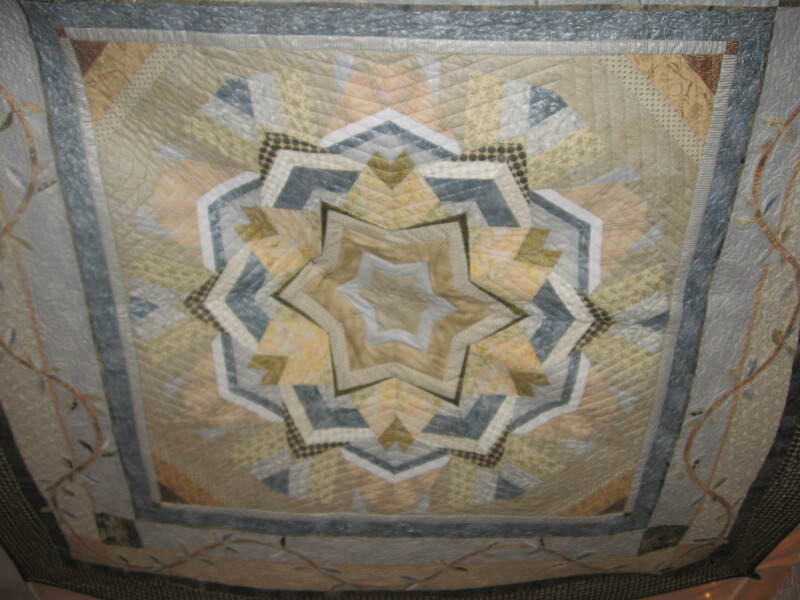 Here is the picture of the quilt I created for my daughter’s Chupa. It was part of the “ceiling” of the Chupa. The wedding finally came and passed (more on that another time). Below is a picture of my daughter in the wedding dress I made! Yay! If given the choice between sewing [even with a deadline, my daughters dress] or quilting, there is’nt much of a toss up. But since I have to justify quilting instead of sewing, I got involved into making a chupa for her. 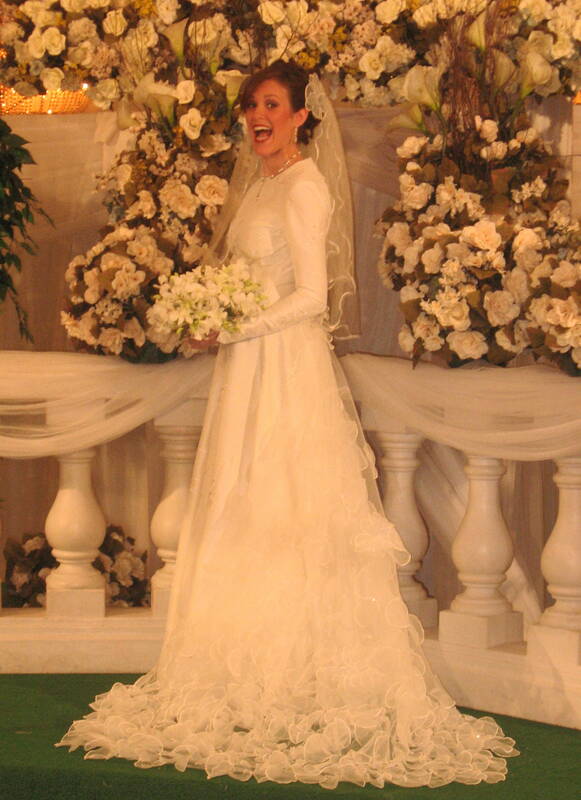 A chupa is a covering that jewish brides and grooms have over their heads during the ceremony. I wanted to try the Ricky Tims kaleidescope. It came out beautiful! I gave it to our longarm quilter to finish and now its full-time on the bridal gown! Daughter Wedding Dress Project Update: Attaching the Train. I’ve been working on my daughters dress. The train, which is the focal point of the gown, is finished but now I have to figure out how to attach it to the skirt. I have some organza flowers from the train that I think I will use; pictures to come. I used one pattern for the bodice and another for the sleeves and they are not going together that great, so that’s the project for tonight. Update on the wedding dress: The hardest part for me is making the first muslin fit. Thank G-d that’s finished and I’ve made the lining ready for Yehudis’s wedding dress. Today I cut into the fabric!